Smooth dowels are used in concrete to allow for expansion and contraction of concrete which occurs when weather and moisture changes exist, but keeps the concrete from lifting. Smooth dowels come in 1/2", 5/8", 3/4", 7/8", 1", 1 1/4", and 1 1/8" diameter. We can shear cut or saw cut your smooth dowels in standard lengths or custom ordered sizes. 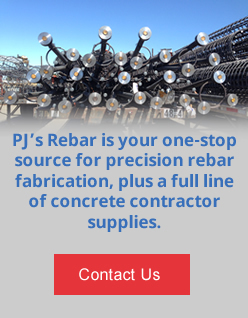 Contact us today for pricing on all your smooth rebar dowel needs.